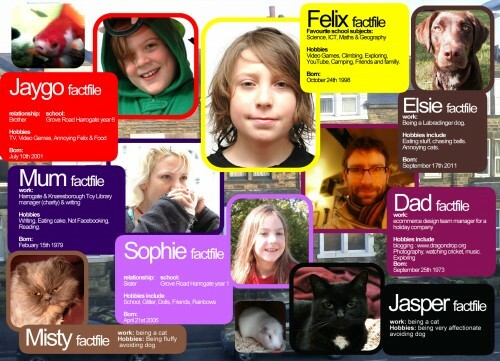 Earlier on, I helped Felix make this collage thing for a school project. It’s a pretty good snapshot of what’s what round these parts. Speaking of snapshots, we’ve just watched Britain In A Day – a moving mash-up of a load of footage shot by hundreds of individuals from November the 12th last year – from midnight to midnight. Love, life, death, happiness, sadness, grief, proposals, protests, triplets, hunting and weddings. An emotional roller coaster of a thing. Had the effect of making me feel humbled and very grateful for my lot. Very grateful indeed.